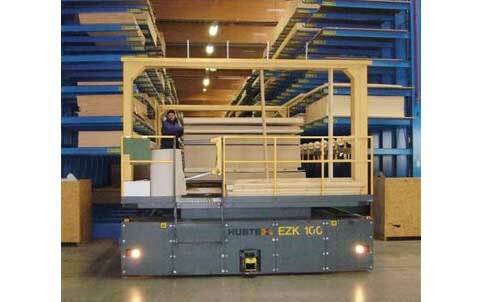 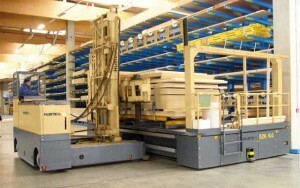 Model EZK pickers are pure order picking platforms. 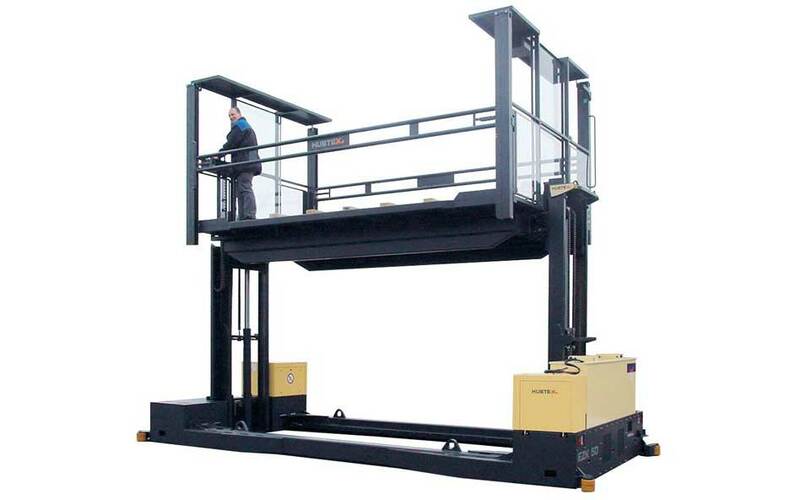 Whether as twin mast or scissor lift version – order picking of up to 26 feet long profiles or sheet stock which is between 23.6″ and 82.6″ deep can be performed with these systems. 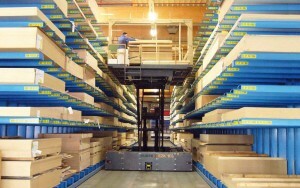 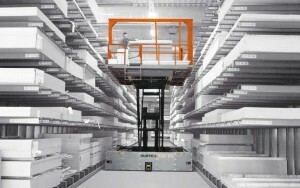 The goods can be easily picked from either side of the rack aisle. 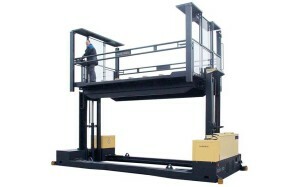 The twin mast version distinguishes itself by its especially low platform height. The platform height of the scissor lift version is greater. 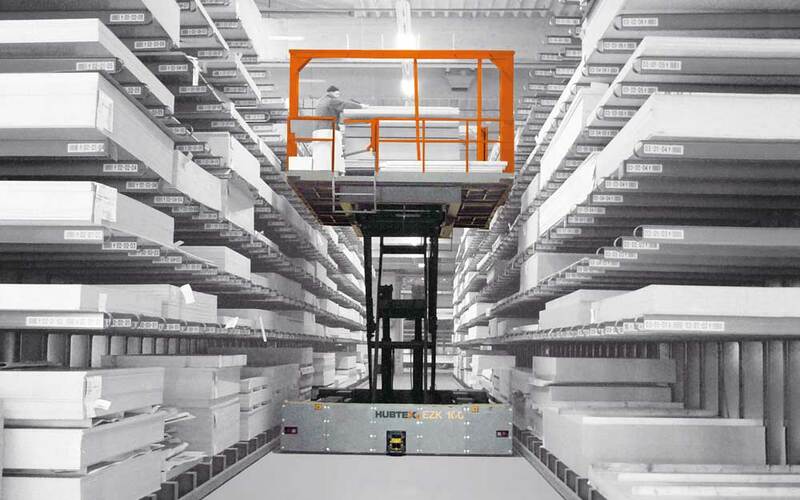 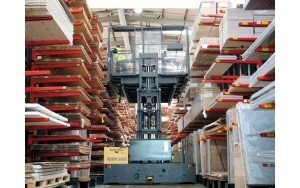 The advantage of the scissor lift version is its shorten overall chassis length. 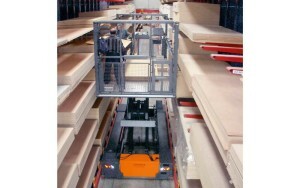 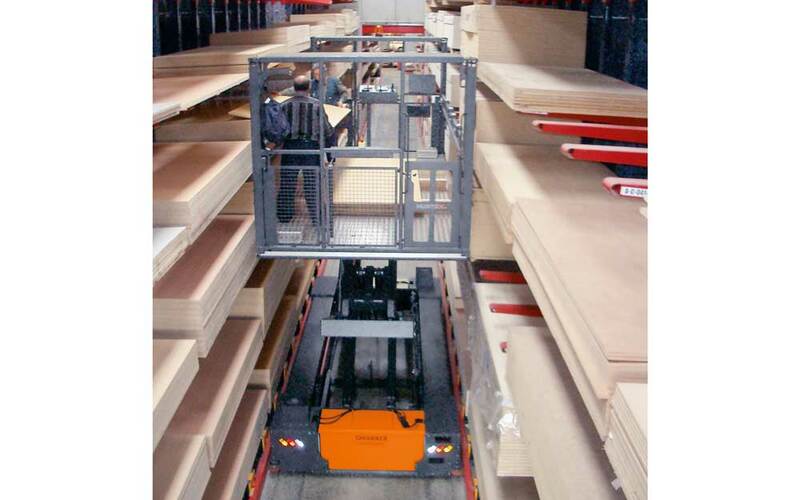 A load shifting device is optionally available for both models to facilitate the removal of the order-picked goods by a separate fork-lift truck.